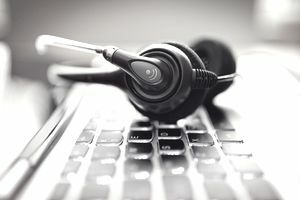 From the personal experience of a former operations consultant at Deloitte, a specialist in clients with broken internal processes and incompetent management, comes this extended case study in customer service problems. The company involved in this case would be, in his estimation, among the very worst of those clients. This case is highly relevant for financial careers because financial results flow from the buying decisions of consumers, who are won or lost by the quality of customer service, either what they experience directly, are told about by friends and relatives, or read about in publications such as Consumer Reports. The company in this case study either has not bought into the balanced scorecard approach or has failed to implement it properly. Additionally, companies that do not invest in customer service may experience high turnover among their customer service personnel, which makes the problem even more severe. Employees with high standards will not like being associated with a substandard service provider. Moreover, few employees will enjoy constantly dealing with irate customers, angry at poor service. It is an unfortunate by-product of the 1984 breakup of the AT&T near-monopoly in telephone service, and the subsequent partial deregulation of telephone service. The old Bell System, by contrast, was widely known as a paragon of customer service, with live operators and service personnel easy to reach, and problems quickly resolved. Dial tone was cut off 18 hours before the service switch, without prior warning. Dial tone was out for 112 straight hours. Having to place 22 separate calls to the telephone company to rectify the situation. Spending over 12 hours cumulatively on the phone with over 50 different telephone company employees across 5 days in attempts to restore dial tone (the company makes following up with a specific customer service agent impossible). Three promised deadlines for restoring dial tone that was missed, and with no follow up from the phone company personnel promising them. Only 2 of the 50 or so phone company people to whom the customer spoke showed any interest in taking ownership of his problem and seeing it through to resolution. The "Live 24/7 tech support" as promised in the marketing literature for the fiber optic service bundle proved to be unavailable before 8 AM on a weekday, on a Saturday night, and on a Sunday morning. The office of the chairman and CEO would later express shock at the revelation (based on the above) that technical support is far from a 24/7 operation. A particular low point in this customer service odyssey was when, after waiting on hold for over an hour on a Saturday afternoon, the customer finally spoke to a so-called Escalation Manager who claimed that (a) he had no access to any trouble tracking system that would contain any notes from customer service personnel about the customer's previous calls, and that (b) the customer actually had a billing problem, and that he thus needed to talk to the billing department. The Escalation Manager transferred the call to the billing department, which (as he surely knew) was closed for the weekend, thereby terminating the call. An independent industry expert who reviewed this case believes that this manager just was too lazy to help, and made up two excuses that do not withstand scrutiny. At firms with a strong culture of client focus, anyone who did something like this to a customer would be fired immediately, as a liability and a value detractor. In the end, only after filing a formal complaint with his state's board of public utilities did the customer finally get the problem fixed. Additionally, it is clear that, if the customer had not made resolving this problem his full-time obsession for 5 days, he never would have gotten the dial tone. A neighbor of this same customer, meanwhile, kept getting notices about payment deficiencies despite having the canceled checks to prove otherwise. Getting service restored took her a similar amount of calls, only to have the deficiency notices continue. These problems resulted after she asked to have the account changed to her name, after the death of her husband. This problem appears to be widespread and well-known, based on anecdotal evidence and has led many inheritors of properties to make no attempt to change the billing name after a death. What Is the Future of Accounting? What Is Layering in Stock Trading?